Fleetmatics is a fleet management provider that sells Global Positioning Systems (GPS) to trucking and dispatch companies. It can monitor every vehicle in your fleet and their performance through mileage tracking, driver management, fuel management, vehicle tracking, routing, and more. We compiled user reviews from around the web and determined that Fleetmatics has a mix of positive and negative ratings. We also cover the pricing options for small business owners. Users who recommend Fleetmatics said that the system is easy to use and that its dashboard allows you to quickly see a large amount of information. Users who gave Fleetmatics negative feedback said that the tracking equipment frequently malfunctions. Customers also reported that Fleetmatics’ support reps didn’t handle their concerns well. A user who gave Fleetmatics a positive review on Consumer Affairs said that the software is very simple, easy to use, and helpful in making operations run smoothly. She said that she enjoys using the software everyday and that it has helped organize their fleet management. A user who gave Fleetmatics a negative review on Capterra said that the system didn’t work for their company. He said that they still had to check each piece of equipment individually to make sure they were all working properly. He also complained that he couldn’t get anyone from the customer support team to return his calls or emails. 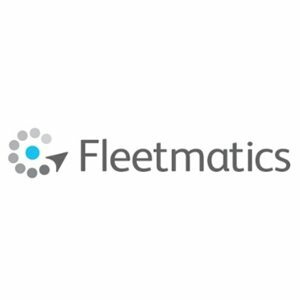 Fleetmatics doesn’t publish their rates on their website, but according to a third party website, there’s a $45 fee per month for every vehicle in the fleet. To get an exact quote, you will need to get in touch with Fleetmatics’ sales team. Not sure if Fleetmatics is the right fleet management software for your business? Read our comparison of three top fleet management providers. Our account rep up until recently was always helpful and responsive when need be. This system is extremely unreliable. We have had a ton of problems with our trucks reporting on the GPS in locations where they are not, sometimes for days at a time. Also showing the incorrect driver on some reports vs others. Drivers on trucks changing mid day on the reports when they didnt actually. Stops at Geo fences not being recorded, Geofences being suggested in places we already had Geofences and the data only showing on their SUGGESTED Geofence but not on our already existing one. We bring concerns to their attention and either don’t hear back or they tell us its resolved, only to have it happen again. There’s also been problems with Customer Support communicating with each other and to us to arrange for new GPS units to be installed which therefore took over 2 months to receive instead of 2 weeks. The GPS is based on Google Maps which is 5 years old in our area and therefore inaccurate with speed limits in a number of area’s, growth of businesses and homes in the area are not shown, etc. How unreliable the information would be. My employer spent a LOT of money on this system. It is absolutely NOT worth it. They need to really work out the kinks and get things resolved before selling this platform to anyone else. Hi Andrew, We manufacture GPS(so price & customizing is our key selling point) systems and is in the top 4 of telematic companies. Please call me on 408-423-4007 and I will set-up a live demonstration!!! They bought a very user-friendly product (SageQuest) and turned it into the most complicated system. After 2 years we still do not know how to use it to send messages to technicians. The rep says there is online training. How much training should you need to send a message? That they would fraudulently trap us into an additional 3 year contract and then claim that they had spoken with us and we stated how satisfied we were! Hi Joanna, We manufacture GPS(so price & customizing is our key selling point) systems and is in the top 4 of telematic companies. Please call me on 408-423-4007 and I will set-up a live demonstration!!! Hello Jodie, We manufacture GPS(so price & customizing is our key selling point) systems and is in the top 4 of telematic companies. Please call me on 408-423-4007 and I will set-up a live demonstration!! !